The Circuit: Executor Rising is the début novel of Rhett Bruno, who is otherwise an architect attached to Syracuse University. The story follows an all too familiar premise. In the far future after the earth was destroyed (by all means kill the old girl) and humanity scattered in the solar system. Various factions are vying for control (they always are) over a rare element called Gravitum (there is always something like that). However, the familiarity doesn’t stop there. Most leaders of the factions in this SF tale are either corrupt or incompetent or both. There are religious nuts, assassins, would-be heroes that should preferably get killed as quickly as possible and villains I would like to see as president. All in all, it this familiar aspect that cuts so close to home. Rhett Bruno has written a timeless story about want and desire that makes me worried whether humanity will indeed go into such a bleak/wonderful future. As the subtitle of the novel may suggest, Executor Rising is the first of several novels set in what is to be the The Circuit universe. Below you can read a small summary of the novel. It contains no spoilers. It has been centuries since Earth was rendered a barren, volatile wasteland. With their homeworld left uninhabitable, humanity founded a system of colonies throughout their local solar system. Known as the Kepler Circuit, these settlements are strung together by a network of nonaligned Solar-Ark transports, locked in continuous motion. They have served to provide an influx of resources to every faction ruling over the remnants of humankind, most importantly the newly discovered element Gravitum which is found only in the Earth’s unstable mantle. By 500 K.C. a religious sect known as the New Earth Tribunal has risen to preside over most of The Circuit. Though there is barely a faction left remaining to challenge them, a string of attacks on their transports force them to summon the enigmatic, yet brilliant, Cassius Vale for help. What they don’t know is that together with his intelligent android creation, ADIM, he is the one orchestrating the raids. His actions lead to the involvement of Sage Volus, a beautiful Tribunal Executor sent by her masters to spy on their mortal enemies – the Ceresian Pact. In order to find out who is behind the attacks, she infiltrates the ranks of a roguish mercenary named Talon Rayne. Against all her intentions, however, she finds her faith tested by him and his ragtag squad. While Sage and Talon are engaged in a futile hunt, Cassius Vale initiates his strategy to bring down the narrow-minded Tribune once and for all. But will anyone be able to survive what he has in store for the Circuit? Executor Rising is only of a number of entries in what will be ‘The Circuit’, but just like every good chapter of a story it is self-contained and raises many questions readers will want answered. When reading the début novel of a writer I always worry about the prose. Isaac Asimov had famously bad prose. His frequent use of the words ‘very’ and ‘quite’ are real page stoppers. 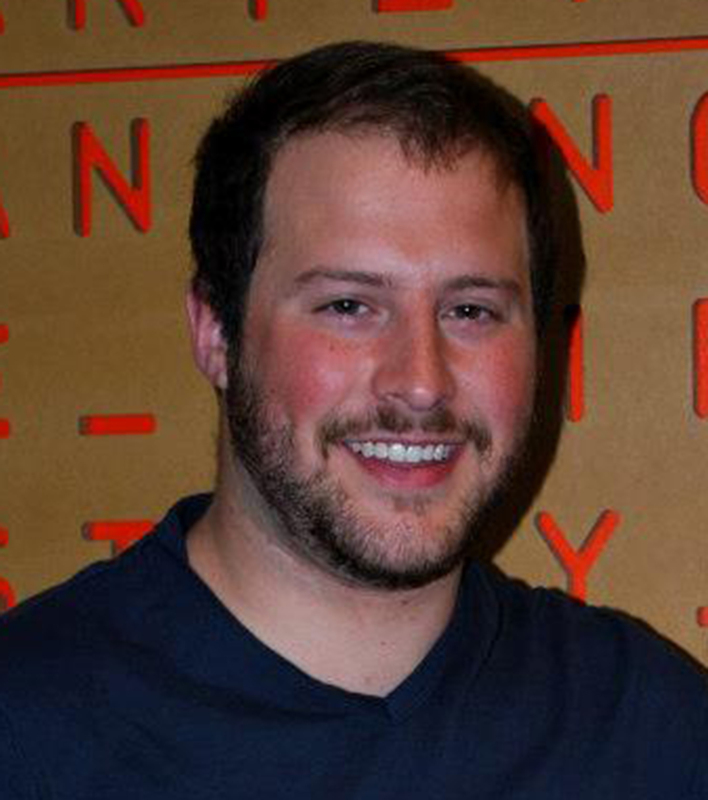 Rhett Bruno is an author who has made use of his lifelong exposure to high quality writing. His prose is excellent. If you want me to mention even the slightest downside than it will have to be with the dialogue. Don’t get me wrong, the dialogue is excellent but the author stops with his exposition completely. After various characters have made their responses I was sometimes at a loss as to remember who it was that was speaking. The alternative is to put in more ‘said X’ and ‘responded Y’ but recent prose style limit those. As far as the writing style goes this newbie has got things right on the mark. It is not easy to classify The Circuit among other Science Fiction works. It compares favorably to Alastair Reynolds and his exposition feels less lengthy and more to the point. However, it is certainly no hard SF like Kim Stanley Robinson. Some of you might be put off by that if you want to start reading a new space opera, but I guess most will be relieved. Rhett manages to weave an amazing story who threads are not yet clear. Executor Rising has its own self-contained dénouement but the story is not finished until you read the sequels. The motives of main antagonist Cassius Vale are not completely clear, for an obviously intelligent man his methods are surprisingly brutal. In many ways it is easier for the reader to relate to Cassius than it is to Sage. Where Cassius is trying to destroy the status quo Sage is trying to support it. Meanwhile Cassius assassin/robot undergoes an amazing transformation as it slowly realizes that its master is not the all-knowing god that he was programmed to believe. In many The Circuit is much ADIM’s story as it is Cassius or Sage. The questions, who will remain when the dust settles. At this moment you can pick up the paperback edition at Amazon.com for 12.56 while the kindle version is on sale for 4.39. As some readers will know I am also aspiring to be a writer. However, my first novel ‘A Day in the Future’ has been semi-finished for almost 6 years already. Nothing is a better encouragement than reading a fine novel from an author who has just made his début. Very nicely done Rhett! 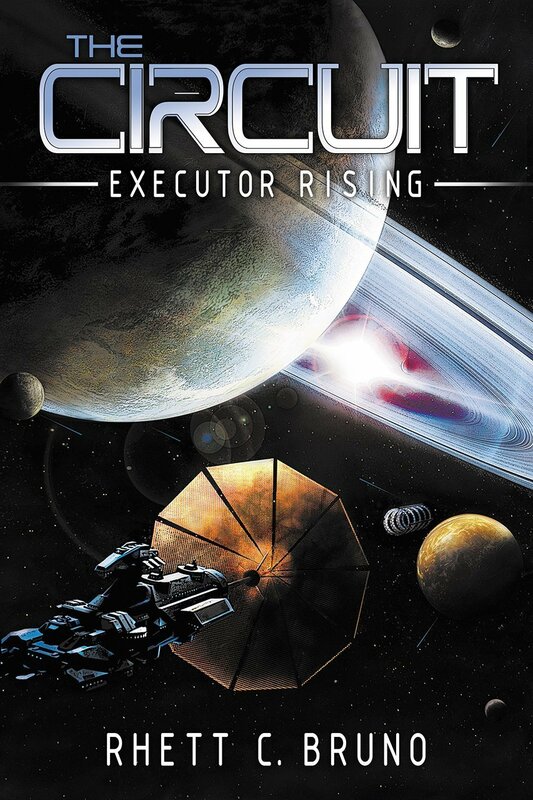 This was The Circuit – Executor Rising by Rhett C. Bruno Review. Check out Rhett Bruno’s website to learn more about the architect turn SF novelist.